Ihre Suche nach - Fachgebiet: MKG - Mund-, Kiefer-, Gesichtschirurgie ergab 42 Treffer. 2016, Springer London, ca. 500 pp., ca. 220 ills. -300 in col.
2015, Wiley-Blackwell, 568 pp., more than 1.ooo col. ills. 2015, Elsevier | Saunders, 1.376 pp., 4.400 col. ills. 3rd. ed., 2013, Springer Berlin /KNO VA, 965 pp., 478 ills. -174 in col.
1. Auflage, 2015, John Wiley & Sons /VCH, 280 S.
2015, Springer, ca. 156 pp., ca. 253 ills. -211 in col.
2nd ed. 2012, 2012, Springer Berlin /KNO VA, 236 pp., 193 ills. -185 in col. With online files/update. 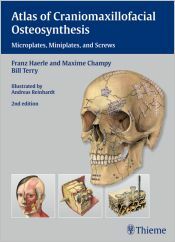 2014, Thieme Medical Publishers /KNO VA, 228 pp., 249 ills. 2017, Springer International Publishing, 278 pp., 95 ills. -87 in col.